Just when you’re starting to feel desperate for a coffee, you see a pedal-powered coffee cart moving towards you. 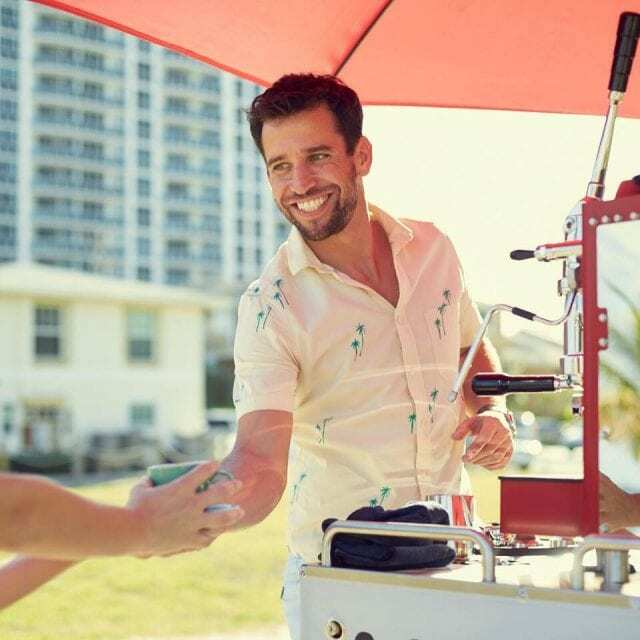 But this is no ordinary coffee cart. This is a specialty coffee café. 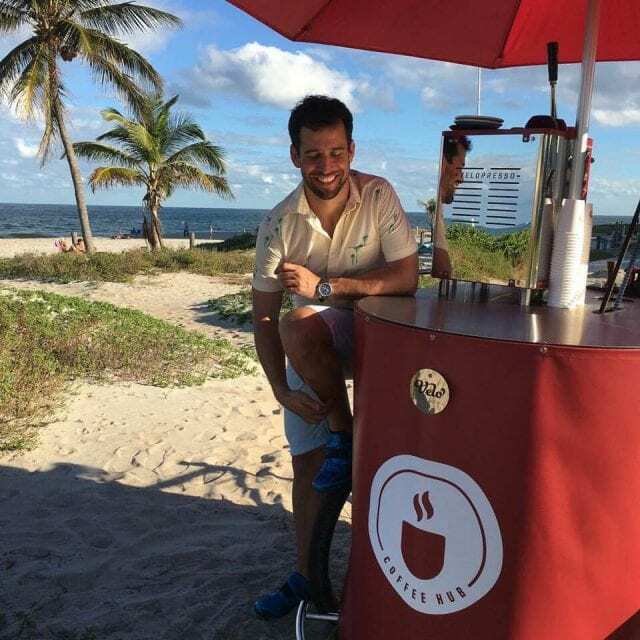 Edilson Cremonese pedals his way through Fort Lauderdale, Florida, the red umbrella on his cart a beacon to those craving high-quality coffee and friendly service. 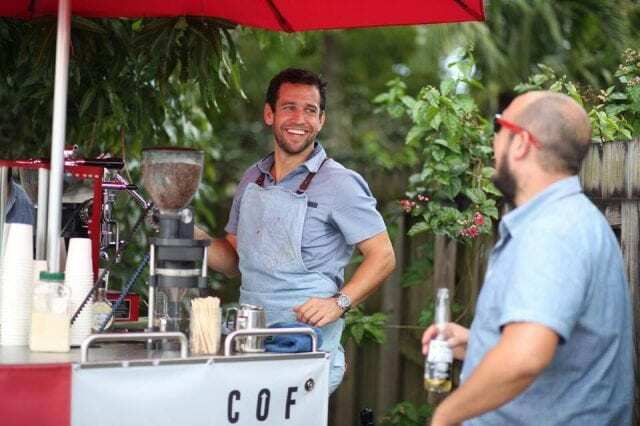 He agreed to chat with me about what it’s like to run a mobile café, how the barista-consumer relationship is different, and whether it makes offering specialty easier or harder. 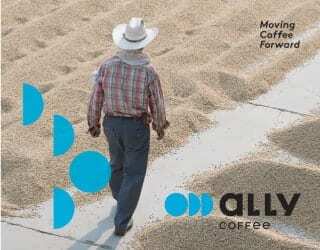 SEE ALSO: Service: The Missing Step in Serving Specialty Coffee? Hi Edilson, thanks for chatting. 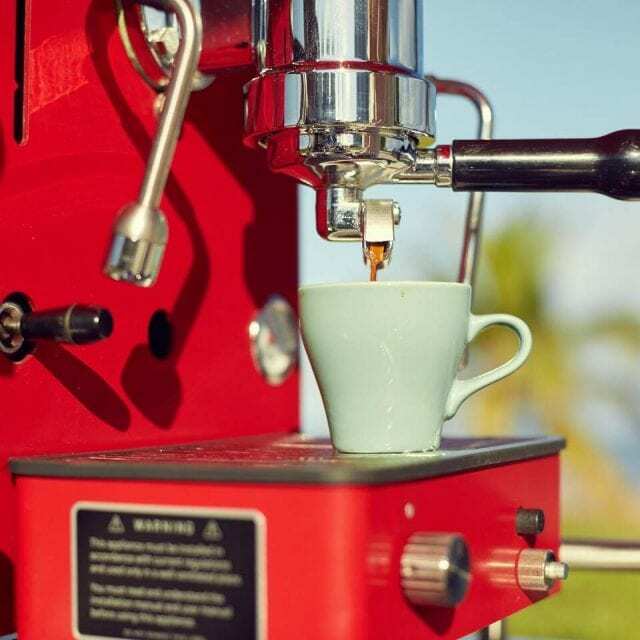 So what’s it like to have a mobile café? It’s a very exciting thing. We can go to state parks, national parks, and any place that just doesn’t have the capability to produce a great quality coffee. And for me, being very outdoorsy and also seeing people enjoying what I have made, it’s really good. What drew you to this? I was an avid cyclist and adventurer for fifteen or sixteen years. 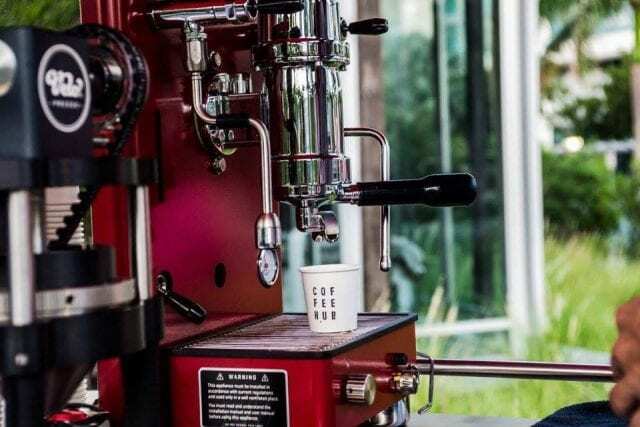 I was travelling all over the world to race in places such as Patagonia and, when I was in the middle of nowhere, I missed a good cup of coffee. I was up at 6 o’clock in the morning for a race, and I’m one of those people who doesn’t function without a cup of coffee in the morning. So I started thinking about how I can change this. Fortunately, I came across Velopresso [a brand of pedal-powered coffee trikes] during the 2014 Tour de France. Then I saw them on TV really quick. I did some research on them, I found them, and I contacted them. I felt that it was a way to combine the two things: staying in the community of biking, running, triathlons, etc., but still offering something different to the public. That’s when I jumped in, gathered my life savings, put the money down, and said, “I’m ready to order.” Here I am, a year later, just getting better, getting busier, doing well, and sticking with my passion. 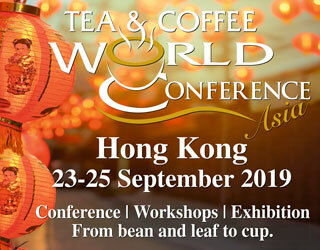 Are there any challenges to having a mobile café? For me here in South Florida, the biggest challenge has been getting all the permits that I need. Every city is different. Every county is different. Is it difficult to pedal your coffee cart? The bike can go up to 12 mph. The riding is not a big challenge. If I’m going to go farther than six or seven miles, I will put it in a trailer. Six or seven miles is no challenge at all. I have three gears on it so I can switch gears depending on the terrain. If it’s too steep, it’s really hard because I’m carrying between 350 to 400 pounds. I wake up really early in the morning, go to the storage, get everything ready, and set up everything. I fill up all the tanks. Stock up the bike. And just start my day. I go to several different places such as parks, squares, car shows – whatever’s going on that I’ve found. How does being on a bike change the barista-customer relationship? The customers are right next to me. They’re in front of the machine rather than behind it. 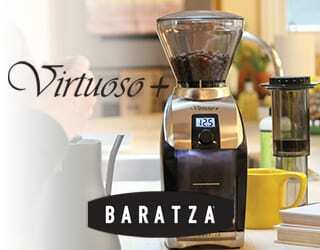 They can enjoy [seeing] the whole process of grinding, of cooling the coffee, of pulling the shot. The whole process of me steaming the milk. People can see and experience that and they can even come and touch it. They’re right there behind you, looking at everything step-by-step. 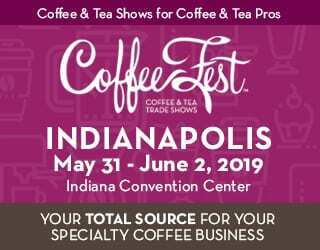 It’s a great way to educate them and have them learn a little bit more about specialty coffee and how we make it. It’s not just a cup. It’s the whole process that makes it so interesting. Generally speaking, are your customers into specialty? It depends on where the event that I’m going to is. I do weddings, I go to malls and art galleries. It depends on the crowd that is going to be there. I like to stay localized, but people don’t have the knowledge in specialty coffee. I educate the locals and build interest in what we have to offer, and I offer to the high class society as well. I reach everybody. I’m happy educating them about what specialty coffee is, what a good espresso is, and what it takes to make a good espresso. I’m offering them not just coffee, but an experience. What about the range of products you offer? Is the cart limiting? It’s actually not limiting at all. I try to change things depending on the community that I’m trying to target, but I can go from just basic espresso to iced latte to cold brew. I use regular milk and I work with nutpods, a milk substitute that has a blend of coconut and almond. Pretty much anything that you see in a coffee shop, except for frappuccinos, I can do: macchiatos, cappuccinos, flat whites, iced lattes… I don’t feel limited. 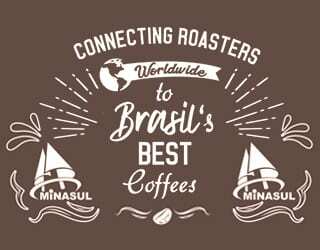 And who roasts your coffee? I get my coffee from Argyle, which is a local roaster. I only use light roasts, and I keep it fresh. I’ve got to have it fresh. I have it roasted three or four days before an event. I get great quality milk, because quality has to come first. If I can deliver that quality to my customers, I can have great quality results. People really appreciate those little details. Do you think this a trend we’ll see more of in the future? I think that people are going to start moving away from food trucks and start making smaller things like a bicycle, or like a tricycle, and they’re going to be all over like in Europe. Perfect Daily Grind is not affiliated with any of the individuals or bodies mentioned in this article, and cannot directly endorse them.